On August 2, 2013 I created a rather long blog post about facts, figures and information requirements in rescue. It was basically a rant or a wish list for the rescue that I work with. Since I spent so much time and energy writing about data, I now see more and more of the articles and videos that others have produced on the topic of information gathering and publication of that data. It is the publication of data that helps tell the story of what we are doing and how well we are doing. There are statistics from national organizations about total intake and kill rates from their members. There are statistics from individual public shelters. Then there are the statistics that rescue organizations should be posting. Shelters are now often posting how many dogs and cats were sent to rescue organizations. I want the rescue organizations to show how many of those animals received they handled and their overall numbers. The overall number for some rescues will help people understand that there are many, many, many more unwanted dogs and cats than the 6-8 million often reported (that comes from national organizations). Let’s help tell the story of the plight of our beloved pets so we can encourage more adoptions, more spay and neuter, more volunteers, more foster parents and yes, more donations to help fund these critical organizations. 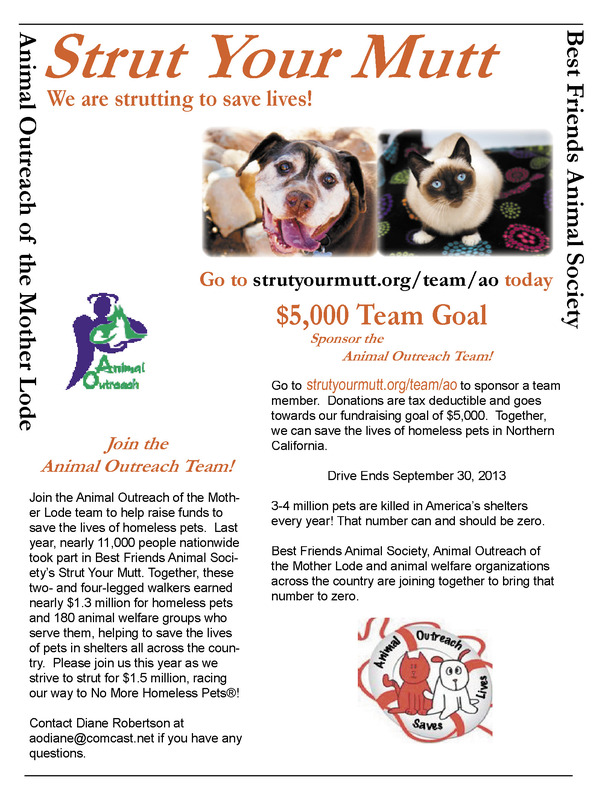 Donate to Animal Outreach of the Mother Lode Today: http://www.strutyourmutt.org/team/ao. I am not alone in my deep belief in the value of data in animal rescue. Following are links to other articles on the topic of data, facts, figures and the value of information in animal shelters and rescue. One of the things that I have not been sharing with you, my blog post readers, is what your donation to Animal Outreach of the Mother Lode means. You know what AO does because you can see their Facebook posts and Web Pages. 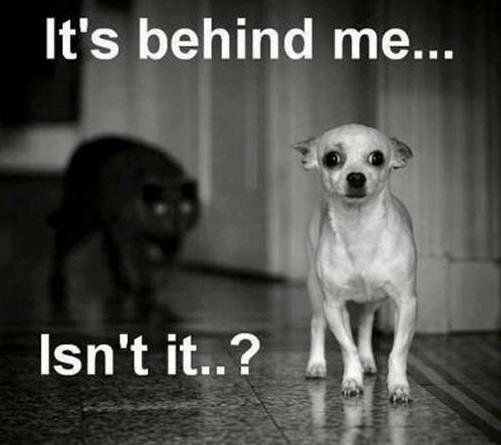 You can see images of available dogs and cats and the stories of adopted pets on Facebook. You also have a good idea of what AO needs because they do try to let you know. Animal Outreach always needs more volunteers, foster parents and monetary donations. Sometimes, AO asks for specific items such as copy paper or laundry soap. Did you know that Animal Outreach of the Mother Lode has a “Wish List” on Amazon? Well, it looks out of date right now. Yep, one more thing AO “should do” better. What you do NOT know now are the numbers. You do not know how many animals were helped last month or last quarter or what form that help took. You do not know how much money it would take to foster five more dogs or spay one more community cat. I would like to share this information with you so that you know more about how your donation is used and inspire you to give even more. I do not have this information therefore I have outlined some questions for Animal Outreach below. Without answers to at least some of the following questions, Animal Outreach fundraising and volunteer recruitment campaigns are limited in their effectiveness. People want to know how the money is used and what a donation can accomplish for the organization. People want to know the impact their donations are having on the organization. They know that Animal Outreach save lives. But, they also want to know more precisely what their donations and/or volunteer work will accomplish. How many dogs and cats were adopted last week, last month, last quarter, last year? How many surgeries were performed overall (last month, last quarter, last year and then break-down the types of surgeries performed)? How many vaccinations were provided overall? Then break these down by type of pet (dog or cat), the owner (Animal Outreach or someone else) and perhaps by vaccination type. For example, knowing that AO provided X number of Rabies vaccinations to clinic dogs and X number to their foster dogs might be interesting to know. How many exams were performed (visits to the clinic aside from surgeries)? What was the intake for dogs, cats and dogs/cats combined last month, last quarter and last year? Compare this to the same time-period a year earlier. How many dogs does AO have in foster care today/this week/this month? Compare that to the same time-period last year. Repeat for cats. What is the average length of stay/AO ownership for dogs? Cats? How much money did AO receive in monetary donations last month, last quarter, last year? Compare that to the same period last year. Perhaps break down donations into categories that can be readily tracked such as Razoo, Strut Your Mutt, Change Jars and receipted monetary donations made via check or credit card. How much money was raised by each fundraising event? How many tickets were sold? Share some pictures of the event or venue. Compare that to that same event last year, if applicable. How many registered volunteers does Animal Outreach have? How many active volunteers does Animal Outreach have? How many volunteers does Animal Outreach need? How many members does Animal Outreach have on the Board of Directors? How many do they want or need? Does Animal Outreach have or want to have any advisory committees? For what purposes and how many people do they want or need? What public reports are produced annually? When are they produced? Are they available online? What good are numbers anyway? When numbers are available, information can be produced that helps people make decisions on donating and volunteering with an organization. Numbers inform potential donors how much money it will take to care for the “average” cat in the shelter or provide the discounted veterinary services to the public next month. Numbers can inspire and motivate staff, volunteers and donors. Most importantly perhaps, goals can be set. Goals must be measurable to be of any use. So, setting and tracking progress on goals is critical to success and everyone wants Animal Outreach to be successful. Numbers can also let supporters know where the organization has been, where it is now and where it wants to go in the future. There is a problem with these ideas though. It takes time and staff or volunteer effort to produce. It takes skilled labor that AO may not always have available. This is where you, your friends and co-workers can help. Volunteer, foster, donate and support Animal Outreach of the Mother Lode to ensure the organization has the resources it needs to provide the services for the community and yes, the public information you desire. Write , visit or email Animal Outreach yourself. AO’s contact information is provided at the end of this post. Marketing activities including community outreach, producing Facebook posts, writing newsletters, writing blogs, producing brochures and information sheets, producing and maintaining program information sheets, etc. Animal Outreach of the Mother Lode has been serving California for over 20 years. They do a lot for the community. They do a lot for animals. And, yes, they need to improve communication and reporting for their volunteers, donors and supporters. It is not that they lack ideas on what to do. I am sure they have an endless stream of “you should do this” coming at them. I think they need a lot more skilled volunteers in the areas of finance, accounting, marketing and management. I don’t know much about the business side of AO so I am assuming all this based on what I do know and what is not available now. I have ideas for a Director of Marketing position. If you are a Director of Marketing or know someone who is, please contact me or AO to discuss volunteering some of your valuable time. Do you want to save the life of a dog or cat that has done nothing to deserve death at the hands of an over-burdened animal shelter? Great! Volunteer, donate, foster and support Animal Outreach of the Mother Lode. Ask your friends and family to join you. Together, we can get and keep this organization staffed with the professional, skilled and semi-skilled volunteer work force needed to get ALL the jobs done right, all of the time. Go to Animal Outreach at 6101 Enterprise Drive Diamond Springs, CA and fill-out a volunteer application or get a volunteer application online at their website, http://animaloutreach.net. You can also telephone them at 530.642.2287. I am always willing to answer any questions that I can. Please contact me via email at aodiane@comcast.net or message me through Facebook. Vote for Animal Outreach of the Mother Lode! Winner gets $1,000. Animal Outreach of the Mother Lode invites you to help them win an online contest. It doesn’t cost you anything. You sign up at the rescue site (your name and email address are the only things required) and then vote for us. You can vote every day. Of course in the process of doing all this the rescue site would like you to become aware of the wonderful items they have for sale. I have personally purchased quite a few things and have been extremely happy with their quality and service. Can I count you in? Help us raise $1,000 by just clicking a link and voting. Welcome to the Doggy Paddle – your chance to get to know our new Shelter Challenge technology. Create an account, share your shelter, and more! Between June 5 and June 18, you can vote for your favorite shelter every day – five winning shelters will each win a $1,000 grant!